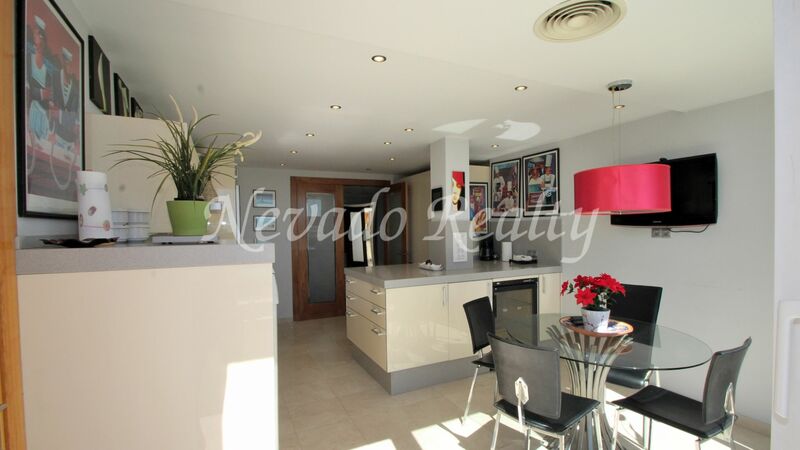 Stunning penthouse apartment right in the center of Marbella Town. 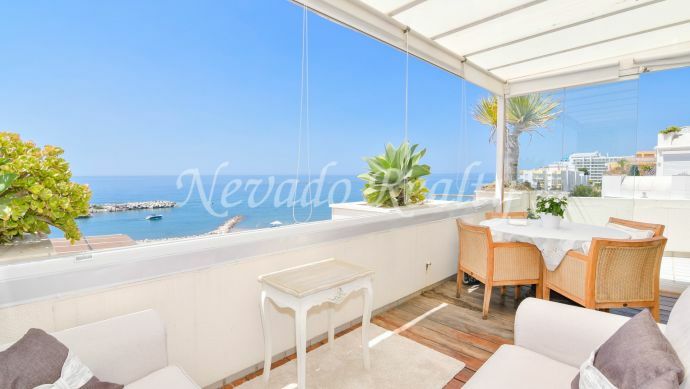 The penthouse is within minutes of a choice of excellent pubs and restaurants and a 2 minute walk from the beach and the beautiful Paseo Marítimo. The apartment block has a secluded garden with a large swimming pool and a children´s play area. The property comprises 3 bedrooms and 4 bathrooms, fully equiped kitchen with dining area and a breathtaking lounge. The terrace has a 5 seater hot tub with 3 outdoor tables for alfresco dining. Each bedroom is en-suite, has Sky TV and a safe. 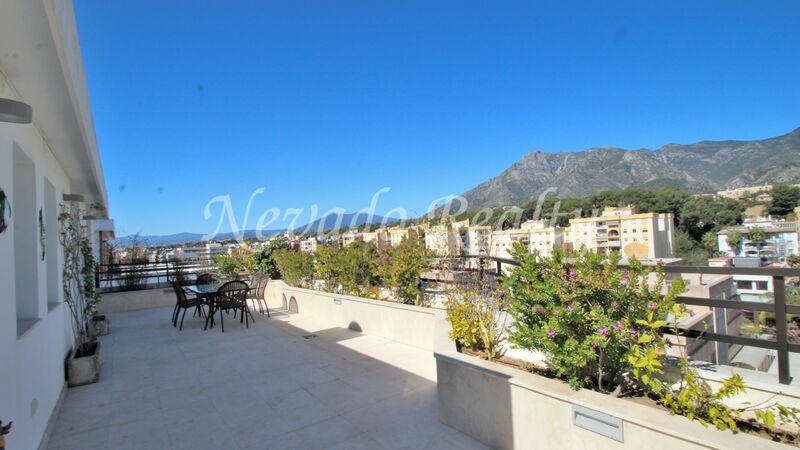 The wrap around terrace has amazing views to the Mediterranean and La Concha mountain. The penthouse has been fully refurbished to a super standard and secure off-street car parking is available. A property with a unique location for those who want to live close to everything. 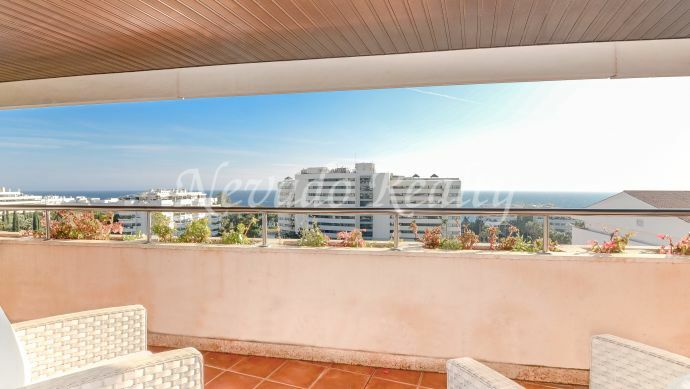 Please send me more information about ref 163-01526P, Penthouse in Marbella Or similar properties.